Your temporomandibular joint, or TMJ, acts as a hinge for your jaw, allowing you to speak, chew, and smile comfortably. Therefore, damage to this important band of tissue can cause orofacial (relating to the mouth, palate, jaw, or face) or myofacial (relating to the facial muscles and surrounding tissues) pain. A temporomandibular disorder (TMD) can affect your oral, dental, and overall health. 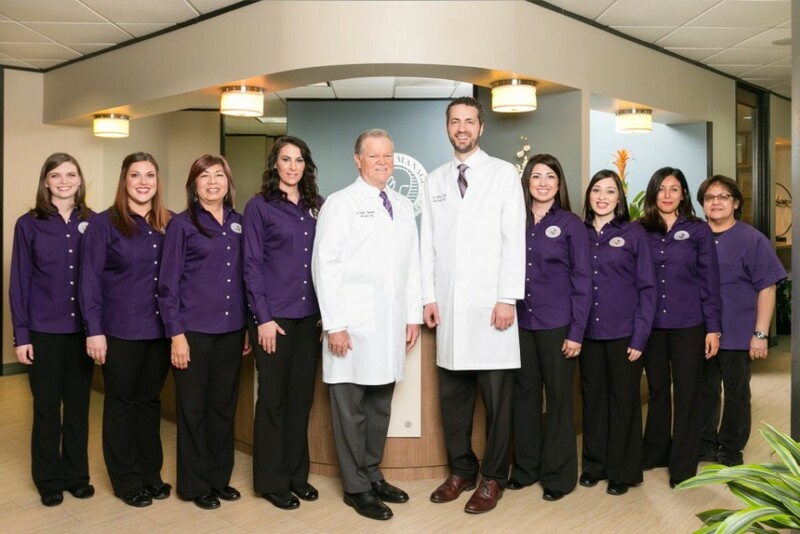 Maintaining our patients’ wellbeing is what drives our team of the best orofacial doctors, Dr. Pettit and Dr. Auvenshine, in Houston, TX. With outstanding credentials and years of experience, our team can help you alleviate facial pain and swelling resulting from this common ailment, which Dental Watch estimates affects about 10 million Americans. Why Choose the Doctors at MedCenter TMJ in Houston? While many types of practitioners may offer to help with this condition, we firmly believe that a doctor who focuses and treats only TMD and orofacial pain is the best option for someone suffering with these uncomfortable symptoms. Whether you’ve just noticed the onset of what might be TMD or you’ve been symptomatic for many years, our team is here to help. For Dr. Pettit and Dr. Auvenshine, temporomandibular disorders are the core of their studies and practice, and have been for many years. This multifaceted condition is widespread, related to many aspects of health, and often requires customized treatment, so we have committed our entire practice to assisting patients with orofacial pain, myofacial pain, and TMJ disorders. We have dedicated our entire office to providing the best experience possible for those enduring symptoms of facial pain or TMJ disorders. We offer a friendly, spa-like atmosphere to help ease your nerves and make your time with us peaceful and relaxing. We utilize state-of-the-art technology to effectively diagnose and treat your discomfort and TMJ disorder. If you’re experiencing jaw pain, our doctors recommend coming in for a consultation as soon as possible. We can help you determine the source of your discomfort and begin designing a customized treatment plan to manage your TMD. You can schedule a consultation by calling our office at 713-597-7083 or filling out our online appointment form. You may also request that your physician fill out our referral and consultation request form.